3. 3. Peanut Butter sandwiches on a certain type of bread. 4. 4. Anything in the candy or cookie family. 5. 5. Certain types of berries. His mama and her younger sister would eat anything remotely resembling a food item that was set before them. Their baby sister was pickier, but nothing like her nephew. He is a health-freak’s worst nightmare. I tried to be so vigilant with my first two. Sugar never polluted their mouths. 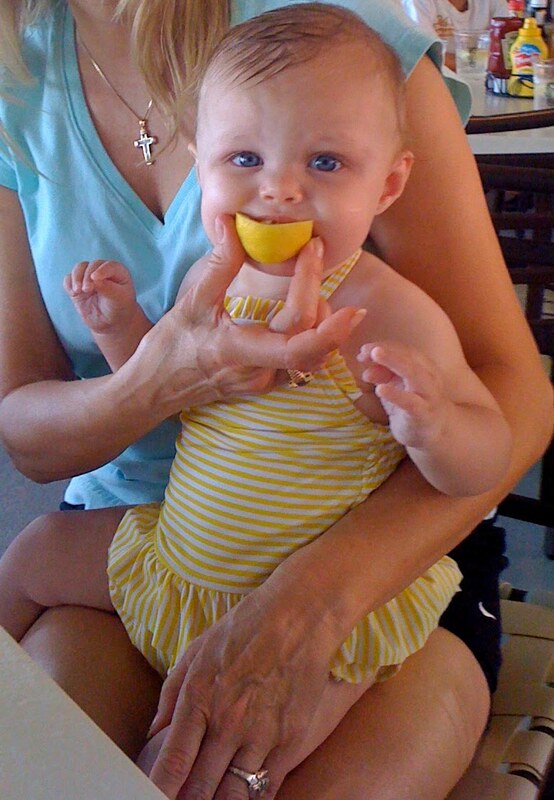 Katherine had never tasted it until her first birthday. Somewhere (I hope) there is still a 1983 video showing her doing a Mexican hat dance after her first piece of birthday cake. She was like a Mexican jellybean on speed. Sugar frenzy. The result of all my diligence was that when they went to the homes of my more nutritionally liberal friends, my dainty little girls completely cleaned out their cookie drawers. Years later, we all died laughing about the lengths to which the hostesses of play groups were forced to go when the Arnold girls were on the invitation list. Even the mothers of ex-boyfriends have told me horror stories of how they had to make a special trip to the grocery store if they knew one of my girls was coming over. So anyway, it has been a shock to have to contend with the Ultimate Picky Eater. Forgive me, Lord, for how I used to judge other mothers. I assumed that you could just put something before a child, and if they didn’t want to eat it, they could go hungry. Right. Especially when you’re got much, much bigger battles to fight. So we sneak nutrients in through the milk, through gummy bear vitamins, through the diarrhea-producing berries. And save our energy for those larger battles. Coming from this environment, it was quite a shock last weekend to be around a Perfect Child. I mean, I thought that my grandson had to be the cutest baby on planet earth, but this one gives him a serious run for his money. The daughter of Middle Child’s college roommate, she is the quintessential Gerber Baby. Only prettier and more feminine. And happy all the time. This extends to the dining table. The angelic little one-year-old grabbed a carrot started munching away. She cleaned her plate. By the end, I was photographing her eating a crispy stalk of asparagus to send back to James. The only thing remotely similar to a vegetable that he’s managed to swallow is a veggie chip. The next day at lunch, I put Perfect Baby to the test. I innocently handed her the lemon from my tea. We had the camera ready to catch the grimace that would surely come. Then she grabbed the lemon out of my hand and started sucking on it. What makes some of us so open, so willing, to experience new tastes and textures? So reluctant to reject a new experience out of hand simply because it is unfamiliar? Is our level of discrimination something wired in from birth? I can see advantages to either end of the spectrum. The more discriminating child might be as reluctant to jump into harm’s way as he is to trying broccoli. The more open child probably wouldn’t cry when you dropped her off at camp. Who knows? Every child is unique. But there was something very endearing about that beautiful baby's innocence in trusting that everything coming from her mother’s hand was good for her. And receiving it with joy. Oh, for a child-like trust that everything coming from the hand of my Father is good for me. I want to thank everyone who has contributed to the conversation in the last several days. I love it when we can share our hearts. A couple of people have asked if any offense was taken in what they wrote. Please let me assure you that none was. When I saw that some of the comments on "Beautiful Brides" were headed toward a discussion of issues that can lead to denominational disputes, I felt it was necessary to interject that it is important to me to keep the 'main thing the main thing,' as someone said. I want everyone who's interested to feel welcome here, and not be put off by doctrinal differences. Now, onward and upward! Anybody got any good ideas about how we can expand James' palate? Is this a precious face, or what? I got nothin'. My major maternal malfunction is nutrition. I consider fishsticks and tater tots a success. My little princess would just as soon consume an entirely liquid diet. I've tried the "no snacks, no juice, no milk for x amount of time before a meal". I've let her go to bed hungry. I don't fix "special" plates just for her when everybody else eats what is on the table. It's definitely a genetic thing. Her big brother does fine with meals, always has. Same environment, same mom, totally different palates. If YOU find something that works, please post it. I have a friend who uses "Deceptively Delicious" and "Sneaky Chef" cookbooks to sneak healthy food into not healthy food for her 2 year-old. She loves it. You can find them on Amazon. You are definitely making lemonade! Just wanted to make a comment about the anonymous setting.....I have a google account but using it is an entirely different matter. Previously, when the anonymous setting was not an option I lost a couple of award winning essays......the anonymous setting is just so easy and I've never lost a comment yet! Try making him a milkshake and putting some protein powder into it. Or open 2 capsules of "Juice Plus" supplements and stir it into a milkshake when he's not looking. Hopefully he won't be able to taste it. I've heard that children who are picky eaters may taste things more strongly and even experience textures in a more profound way. Since raw vegetables tend to have a milder taste, what if you set a small bowl of raw vegetables out each day. Don't say anything to James, just use them as your own snack. If he eats them fine, if not, fine. No pressure. Decide on the front end how long you want to try this experiment -- a week, two weeks, a month. Stay with it and see what happens. Thanks, everyone, for the good suggestions! We'll keep trying different things. We do do the protein powder. And Katherine got the Deceptively Delicious book...just haven't tried yet. Hey, anonymous! That's why I enabled it....people were telling me they couldn't post. In answer to your question, I think I've got the settings so that I'll get an email when there's a new comment on an older posting....but just to be safe, you could send me a note on the current post telling me to go back and look at an older one. I'll try to check it later...in a rush now. Anyway, thanks for the comments....I don't want to miss any! Don't know why Blogger say a the wrong number on the main page....yet another mystery. P.s. Typing on the new iPad is tricky! Lots of typos! One more thing, if you do use 'anonymous,' I'd appreciate a first name at the end so I can at least distinguish between all the different Miss (or Mr.) A's. This is a great article about why kids do and don't eat what they do. It is actually more normal to be picky. Food aversions are normal. Not so fun for the care-givers but normal for the kids. All 4 of my kids including the twins are so different. The babies even prefer store bought baby food to the fresh stuff I make for them. go figure? Maybe it's just a phase?? My son, only a month older than James, went through about a 3 month period of sheer pickyness. So, we played a game. Take green beans...we would get one on our fork and say, "I got one, you got one?" To which he would reply, "I got one!" We let him count to 3 and then we all ate it together. Hope he emerges out of that one soon! So many picky eaters turned out just fine! Keep offering the good stuff - he'll catch on soon enough. I also have two totally different eaters - I just keep offering the good stuff and show that it is tasty to eat. Some things that they'll eat: carrots and cucumbers in hummus, cheese and apples. I always offer a treat and healthy stuff for snacks - they have to have a few healthy things before the "treat". Good luck, Kim - seems to me that you are doing a super job!! Save your energy for the bigger battles. James has a lot of what's most important--people who love him! I'm with Krista. It's taken 3 children, but there are more important things than food (to some people; I'm not one of them.) Bradford ate pretty much anything and everything until he was 3. Then--and now--he has very limited likes. McCance didn't like as many things, but he wasn't picky. Recently he's a bit more particular and has a smaller range of foods he'll eat, but he is much more willing to try new things. He doesn't always like them, but. . . And lastly, Cora. She loves to eat, but is very picky about what it is. It seems she loves yogurt, cheese, Goldfish and blueberries and carrot sticks (which is amazing since she only has 2 teeth). Everything else she might eat a little and be done or just plain spit it out. My hope lies in my brother. He was a very picky eater. (Think hot dogs, carrot sticks, ketchup, and eggs.) He likes and eats so many things as a grown up. He's even the cook at his house. So, give him his vitamin and pray for his health and for his palette to expand with time. He'll be fine. BTW, I missed you *again* at church yesterday. Maybe, just maybe, you'll be around one more Sunday?